The Sai Anantam Ashram Singers - hailing from the Ashram that Alice Coltrane herself founded in LA - perform Coltrane’s ecstatic music which was recorded in seclusion inside the temple. It is the European premiere of this special project, bringing this meaningful piece of Alice Coltrane’s legacy into focus. This is more than just a performance: this is also a ceremony, and a participatory experience. 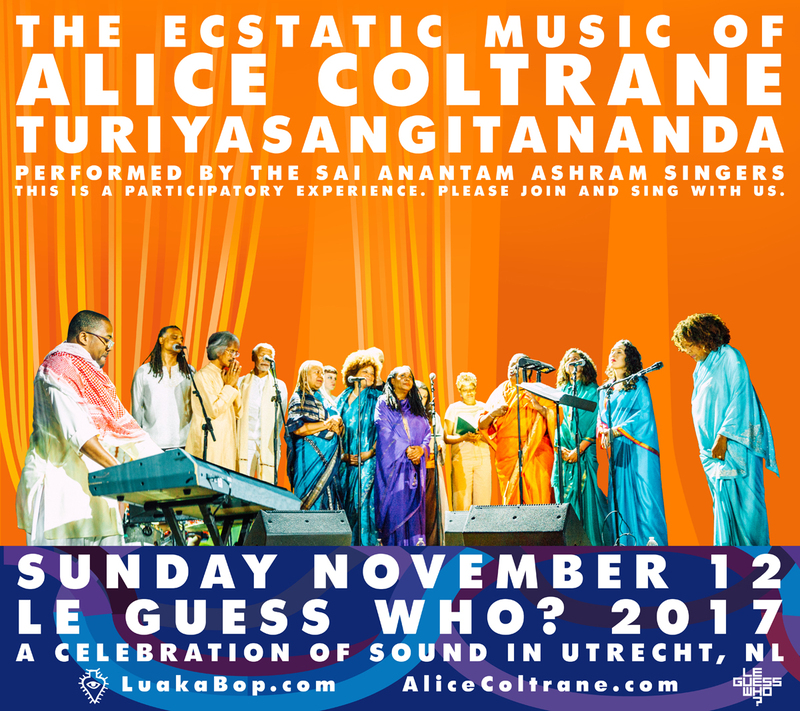 From 17:00 on, you are able to enter the Ashram, and visit the altar in remembrance of Alice Coltrane. You will be handed a Sai Anantam Bhajan Songbook. Feel free to join and sing with us. If you want to take a seat on stage, around the choir, we ask you to take off your shoes. Being dressed in white or orange is preferred. Also participating in this experience will be special guest artists from our festival line-up.